For the last several months I have been fighting to keep my chateo going. 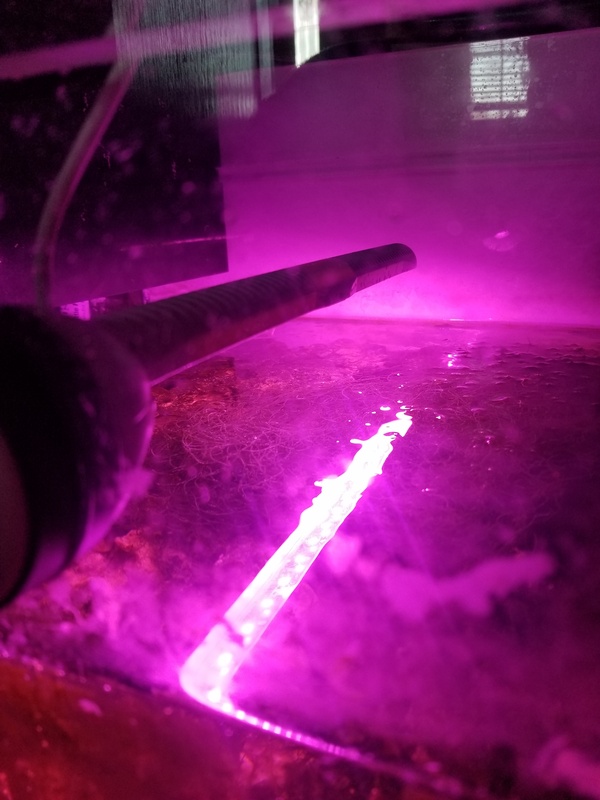 I tried several different led lights and all I was getting was algea growth but no chateo growth. I just recently bought the new tunze magnitic refuguim light. My chateo is finally growing again plus with the ability to lower it down closer into the sump I am seeing less algea growth every where else. I was starting to see algea growing in my return lines. I’ve always grown my chaeto under a cheap cfl from Home Depot and it grows extremely fast. They are like 10 bucks plus your fixture to hold it. Nothin fancy but definitely does the trick if you don’t want to spend the money on the higher end fuge lights. The water proof is true I have it just a few inches off the top of water. If the return pump is turned off the light is right at the water level in the sump. It gets wet often and no issues. The bleed off light was what I was trying to reduce. What’s the IP rating on these? I’d be real interested if I was able to submerge it in one of the chambers on my AIO. My teenager tossed the box last week. What was the cost of the light? Brs has them now for 70. When I got mine no one had them. The eco chic LED lights with protection class IP 68 operate permanently in the air but also under water. The special manufacturing process doesn't just guarantee the water resistance, it also enables the permanent underwater operation which also relieves the pressure on the aquarium heater. So it is fairly submersible, but heats the water a bit when running submerged. I love the marketing talk: its not a bug, its a feature. Its not that it increases the temperature of your water when submerged--no,no, it actually "relieves pressure from your heater". But at this wattage, it might not add up to much in larger system volumes. Also, I imagine in the submerged application, there will be a lot less light lost upward because it won't be reflecting off a water surface. 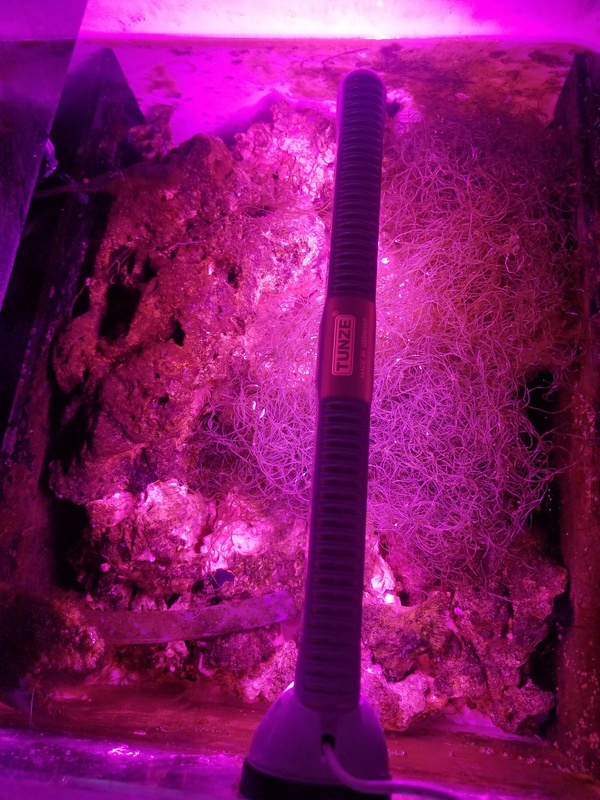 I had a fuge-type light I in my old system that I ran off-hours at night, but just the reflected light spill coming from behind my cabinet made my living room look like some sort of a grow-operation to my neighbors. Thanks for the write up. If this light fits the budget for my next build I might give it a try--seems to be a really good size, clean and unobtrusive. I just got the Tunze 8821.00 from BRS which they advertise as the 6500k light. The 8821 is actually a white 10k light. Is the 8831 the refugium light? Love that form of that light, spreads the light around and is nice and compact. good find!